General Motors Co. said Thursday it made $1.33 billion in the second quarter, a sign it's getting healthier as it prepares to sell stock to the public. CEO Ed Whitacre said last week that the company is eager to sell its shares in an initial public offering so it can end its dependence on the government and pay off $43.3 billion in bailout funds that were converted into a majority stake in the company. 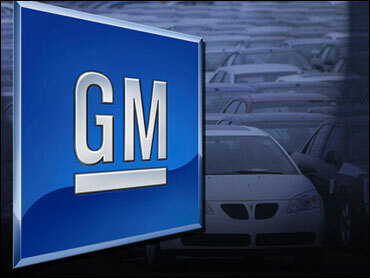 The U.S. government has owned a 61 percent stake in GM since the company left bankruptcy protection in July 2009. GM's second-quarter revenues totaled $33.2 billion, up 5.3 percent from the first quarter on growing sales in every region except Europe. In the U.S., GM saw strong sales of new and redesigned models like the Chevrolet Equinox wagon and Buick LaCrosse sedan. GM said it earned $2.55 per share for the quarter. GM didn't report second-quarter results last year because it spent part of the quarter in bankruptcy protection, but on Thursday, GM said it lost $12.9 billion in the second quarter of 2009, or $21.12 per share. GM ended its latest quarter with $32.5 billion in cash, down from $36 billion in the first quarter. GM is the last of the Detroit automakers to report second-quarter results. Ford Motor Co. made $2.6 billion, its fifth straight quarterly profit. Chrysler Group LLC, which got $15.5 billion in federal aid, narrowed its second-quarter loss to $172 million.